Starting with the second largest city of Rajasthan, Jodhpur has no match when it comes to winding lanes and architectural delight. You can start your day by exploring the majestic forts and palaces and then spend the rest of the time at the sand dunes by opting for a camel safari tour. The magnificent stay in the Mehrangarh Fort is something you should not miss at any cost. 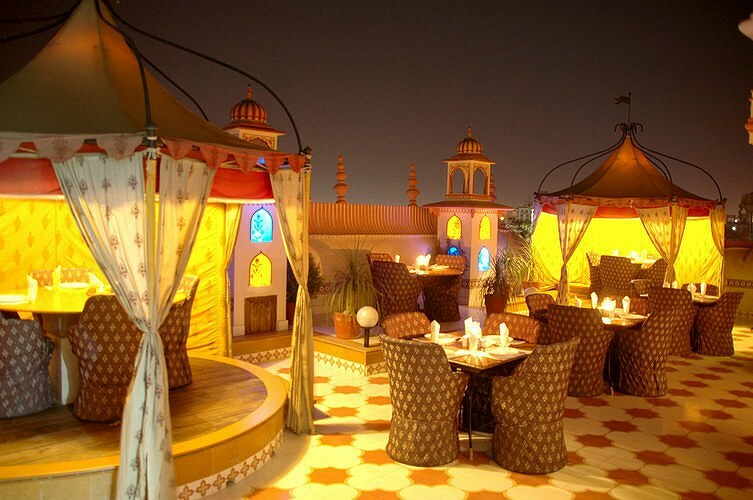 However, if you are looking a longer and more memorable stay, choose to book your hotels in Jaipur and book a day tour to Jodhpur and nearby travel spots. The next picture postcard destination is Jaisalmer to which all love birds will swear by. The whole city is surrounded with many scenic locations ranging from arrays of sandstone structures to dreamy royal forts. To make the best of your honeymoon choose to take a paddleboat ride at the time of sunset to witness the golden-hued painting the nature creates here. The stunning Gadsisar Lake will be the ideal destination for the same. Also try the spicy curries from the Rajasthani cuisine and give your taste buds a flavour some treat by opting to sit for a desert later on. In case you want to enjoy long walks in the much acclaimed Venice of the East, come to the romantic city of Udaipur. 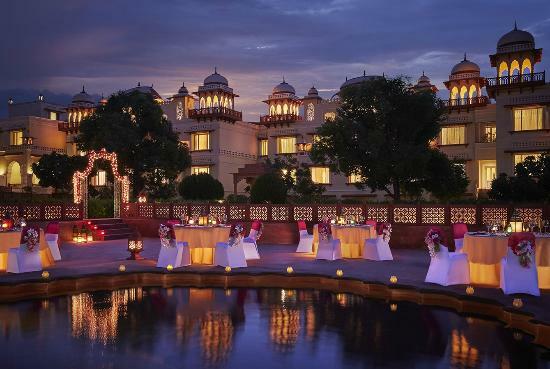 The carved havelis to the intricate designs on the palace walls will surely stir your mushy nerves and provoke to have your wedding photoshoot again. The city will take care of your hunger pangs with its lip smacking street food while you are on the go. Do not forget to visit the Udaipur Ghat, Lake Pichola, City Palace and the Fateh Sagar Lake. The place is well connected through all means of transport and is at a distance of about 4 to 6 hours by road from the main city. Now that you have travelled the most popular romantic destinations of Rajasthan, let us take you to the most alluring and the only hill station of the state – Mount Abu. 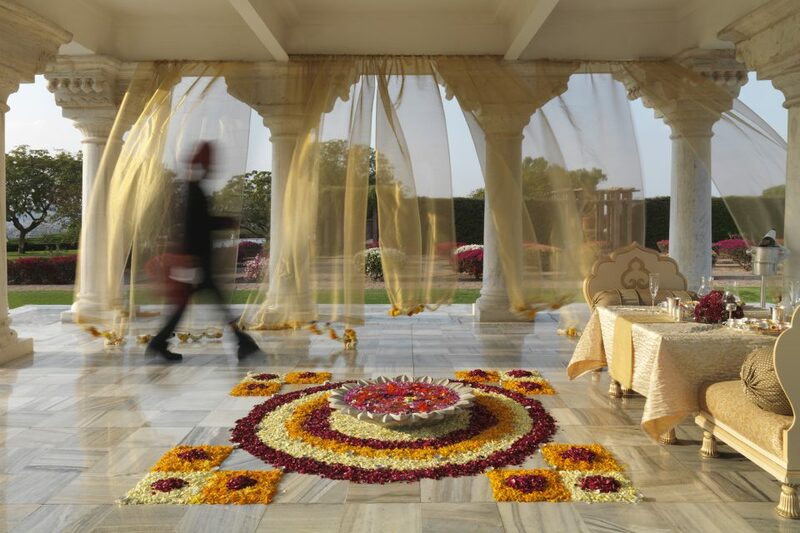 This romantic escape has etched beautiful panoramic memories in the minds of the travellers in every journey. The colourful skyline transports you to another world, while the hill tops render spectacular sunsets to your honeymoon. Dabok Airport is the closest airport from Mount Abu. Daily flights by Spicejet, Air India and Jet Konnect Airlines provide a hassle free travel experience to the people. However, if you wish to travel by road, many private tour buses from Jaipur ply regularly to Mount Abu. Do explore the best of Rajasthan Tour by travelling all the above mentioned romantic escapes to have a magical and memorable honeymoon.